The bright object could be clearly seen from Argentina’s capital of Buenos Aires. Other reports of the dazzling display came in from Brazil’s southern state of Rio Grande do Sul, as well as neighboring Uruguay. 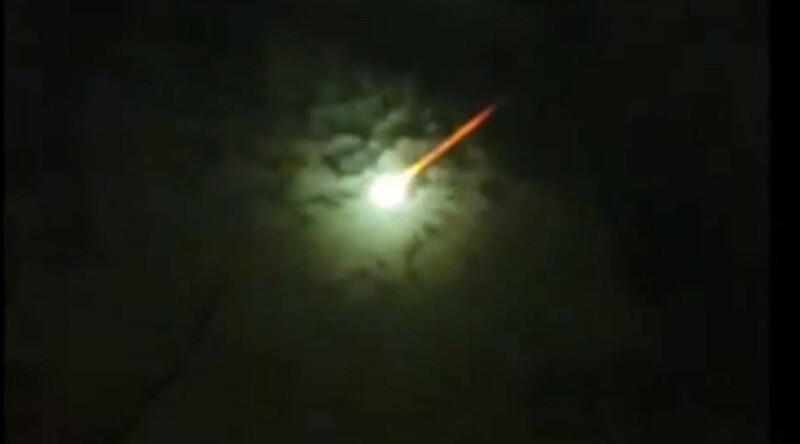 Most of the observers said the spectacle lasted for some 10 seconds, as the massive fireball burnt up in the atmosphere. Witnesses said no sound was heard. Social media was subsequently bombarded with pictures, videos and GIFs of the event under the hashtag #CieloVerde. Hundreds of internet jokes about the origin of the phenomenon immediately followed, with the most viral suggesting that the celestial object was none other than the ball Argentinian striker Gonzalo Higuaín infamously kicked high above Chili’s goalposts at the recent finals of the Copa América football championship.